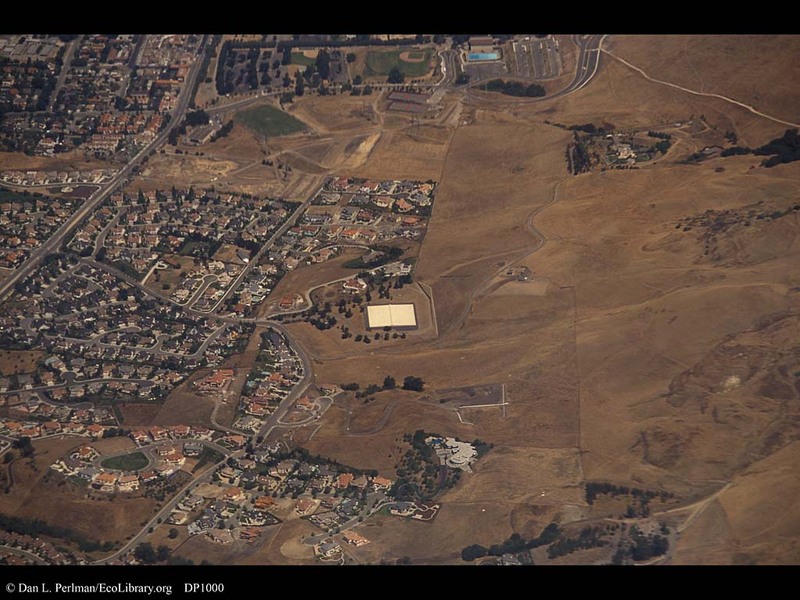 Urban sprawl, California. This is a very arid landscape, viewed during the typically dry summer season. Can this landscape support the large numbers of homes seen expanding across the landscape?